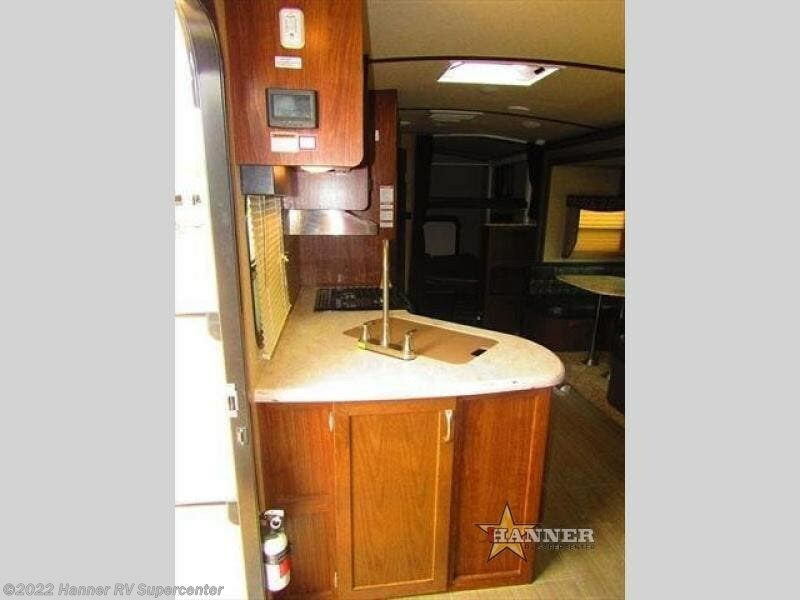 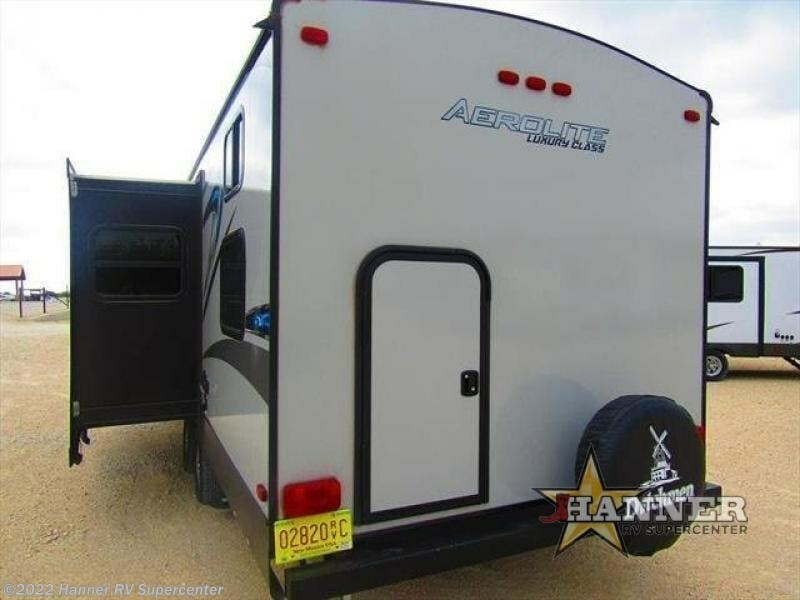 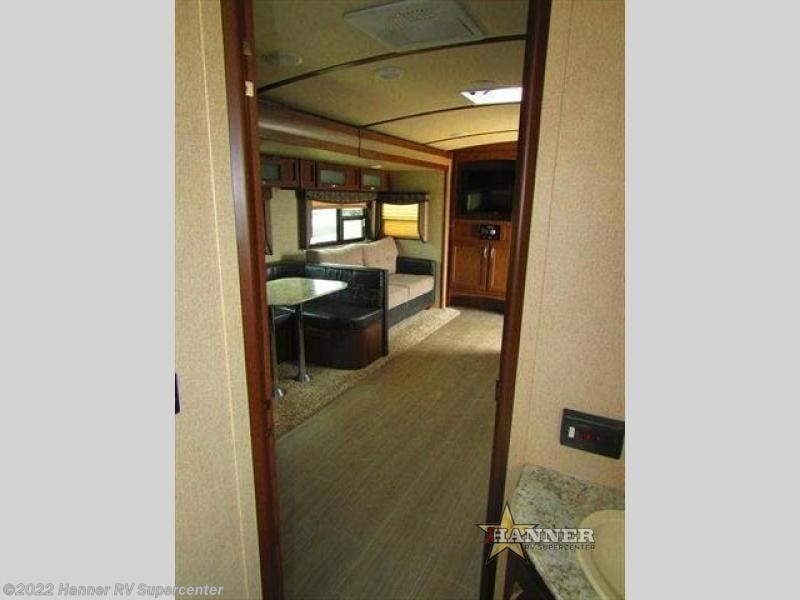 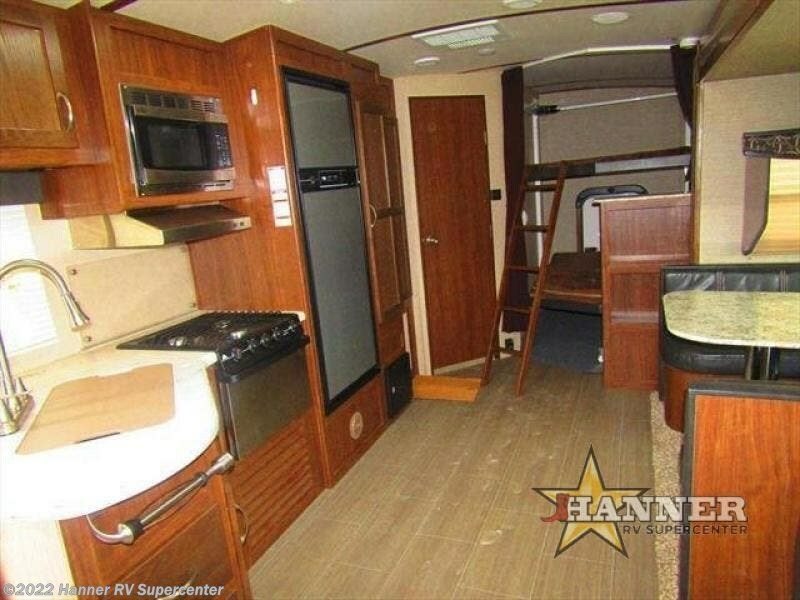 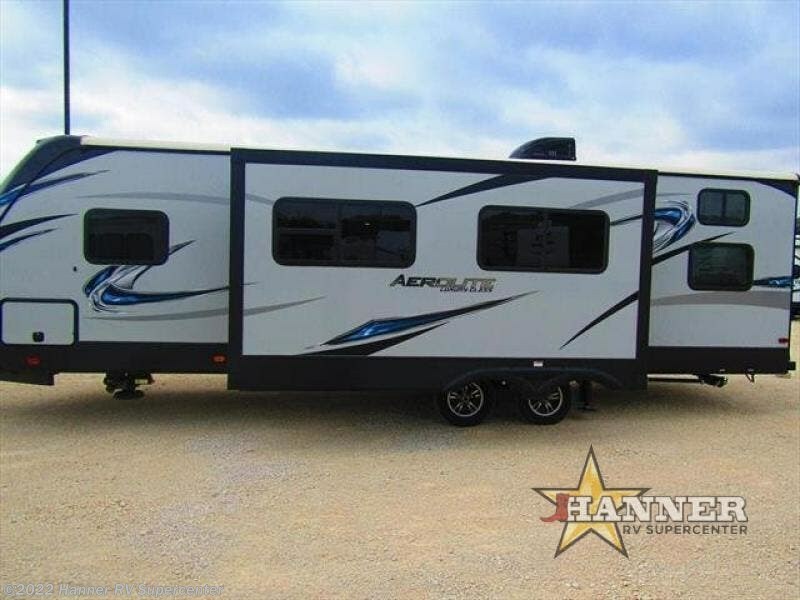 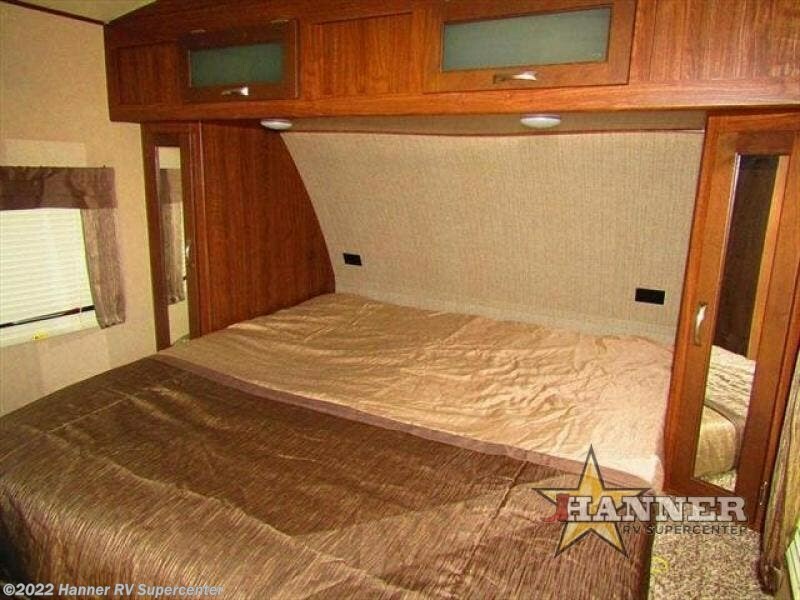 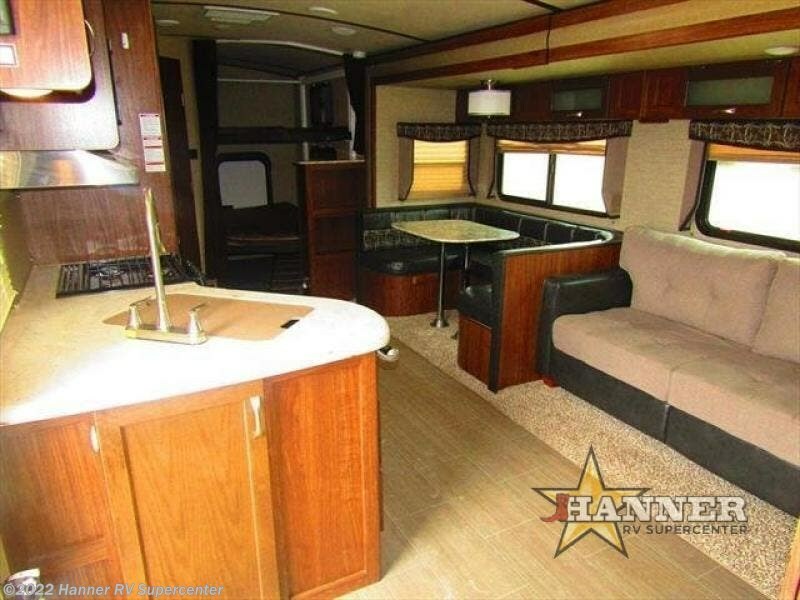 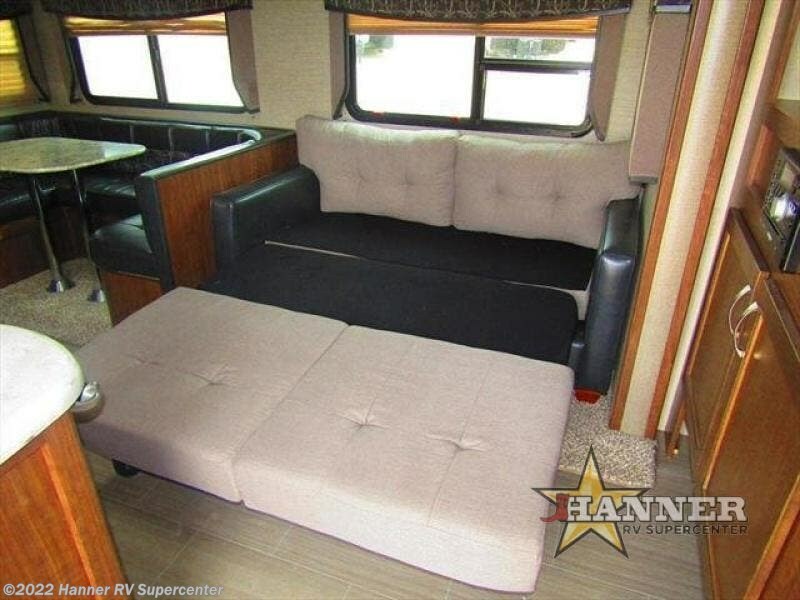 This Aerolite 282DBHS is a full sized ultra light travel trailer by Dutchmen. 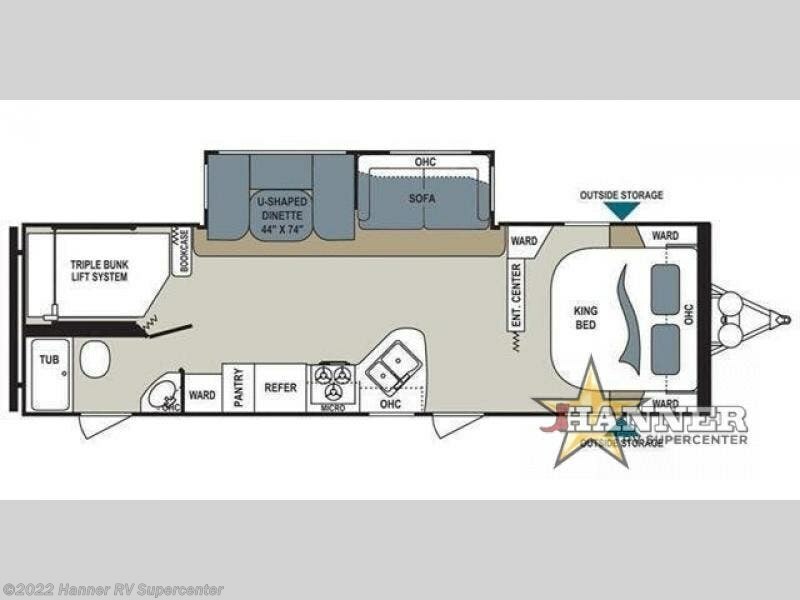 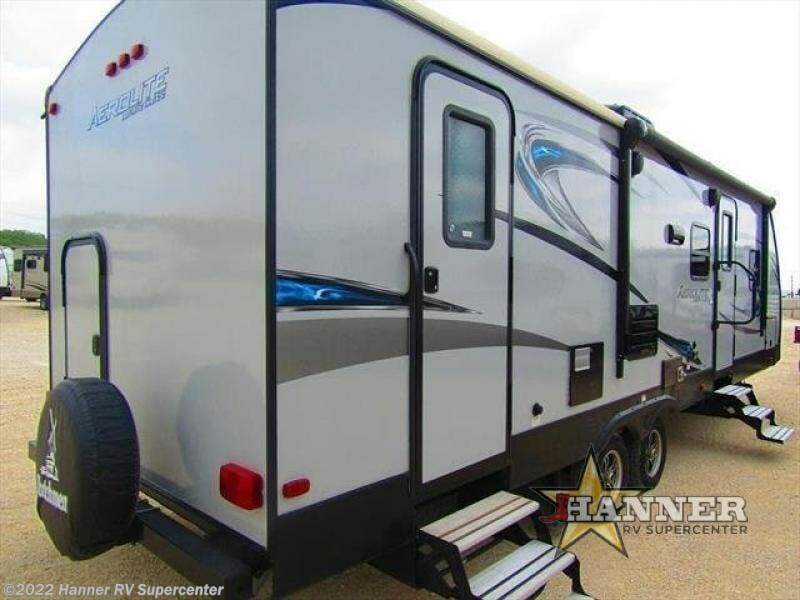 It features a super slide out, a triple bunk lift system for added sleeping capacity, and two entry doors. 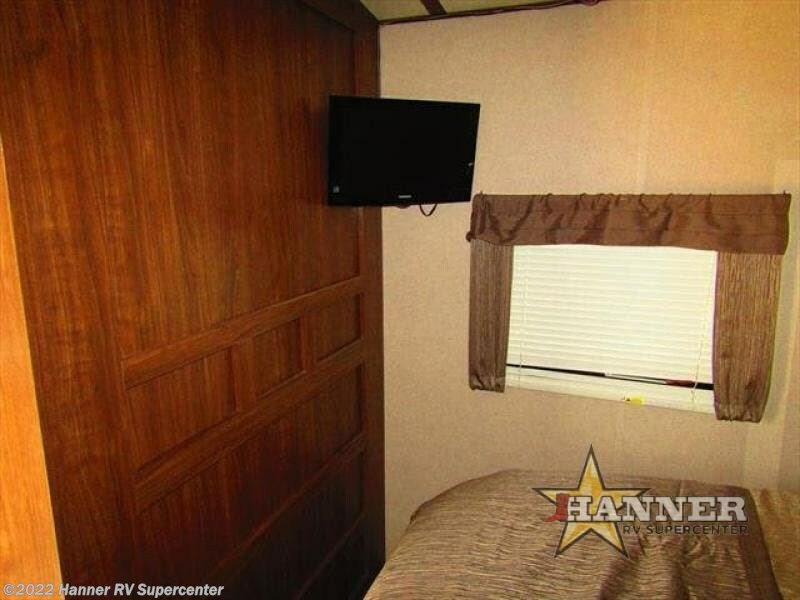 Step inside the main entrance and see a king size bed to your right. 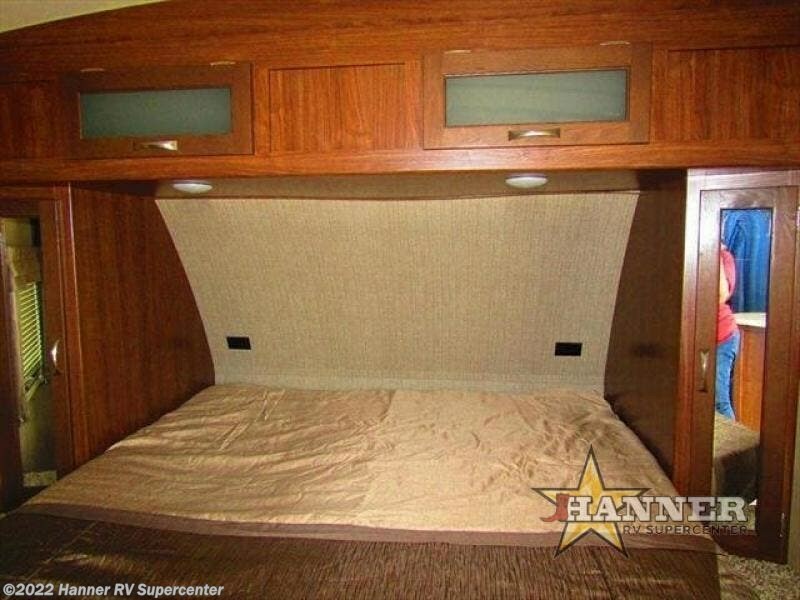 There are two wardrobes for storage, an overhead cabinet, and a third corner wardrobe also. 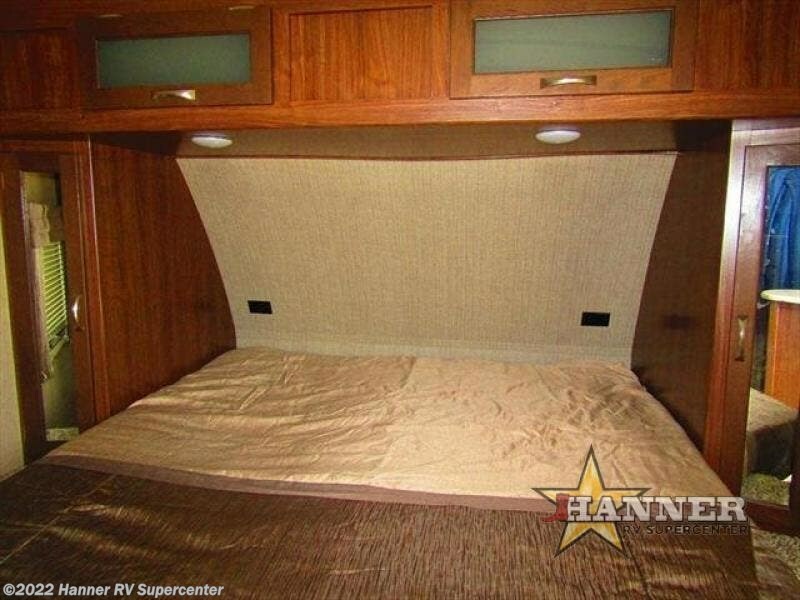 There is a curtain that can be pulled for a bit more privacy at night. 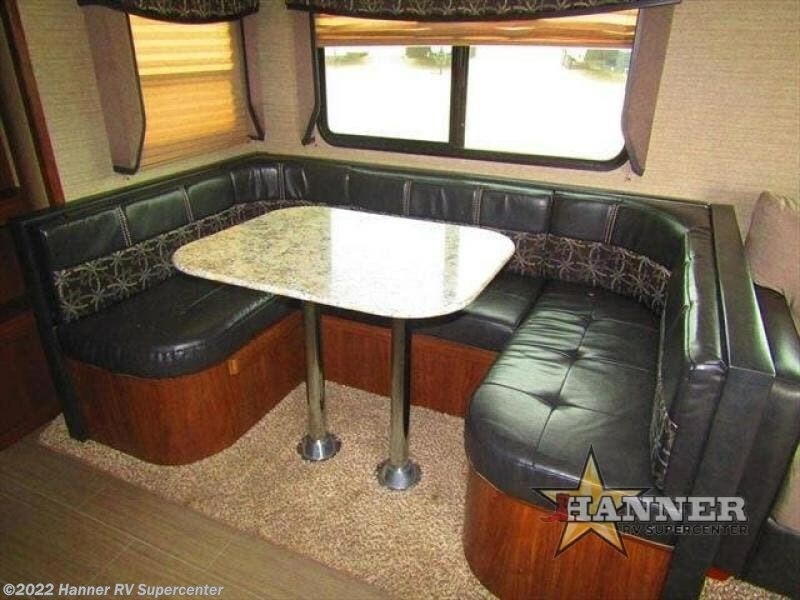 The combined living and kitchen area features a slide out sofa with overhead cabinet and a 44" by 74" u-shaped dinette. 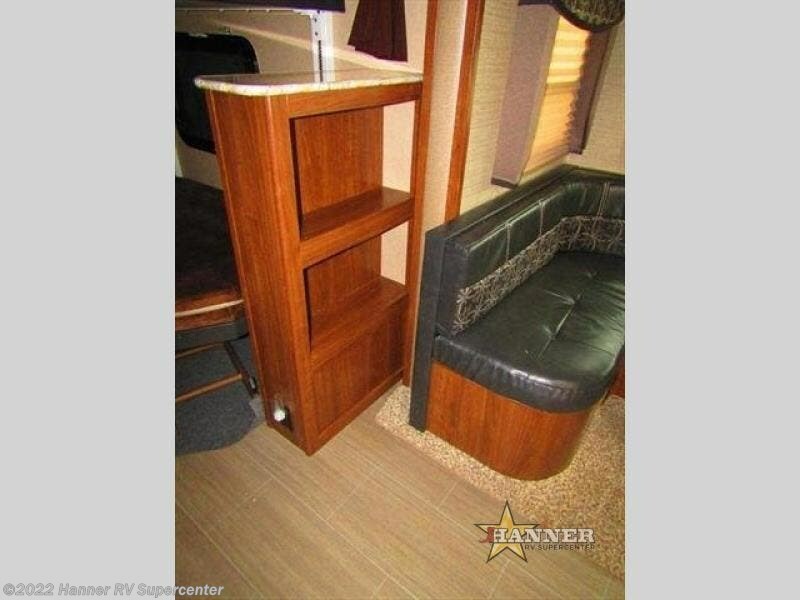 Each provides plenty of seating for meal time and just hanging out. 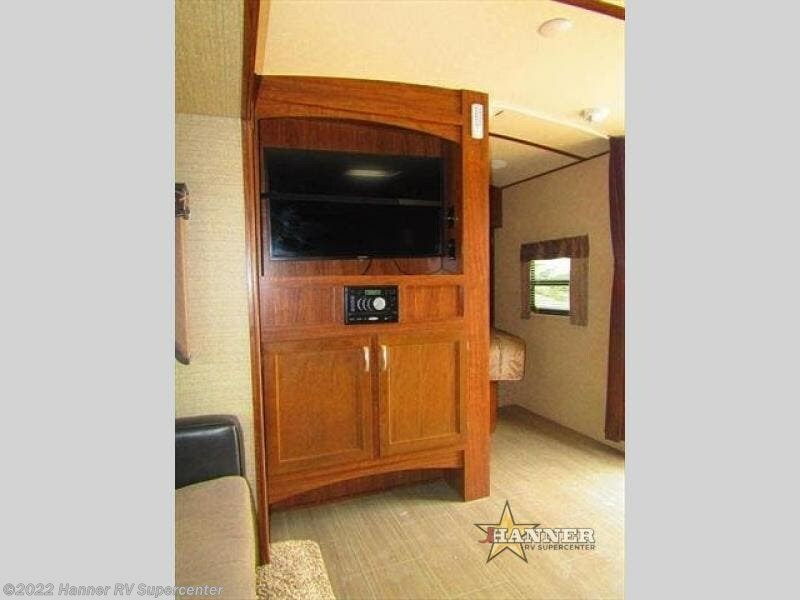 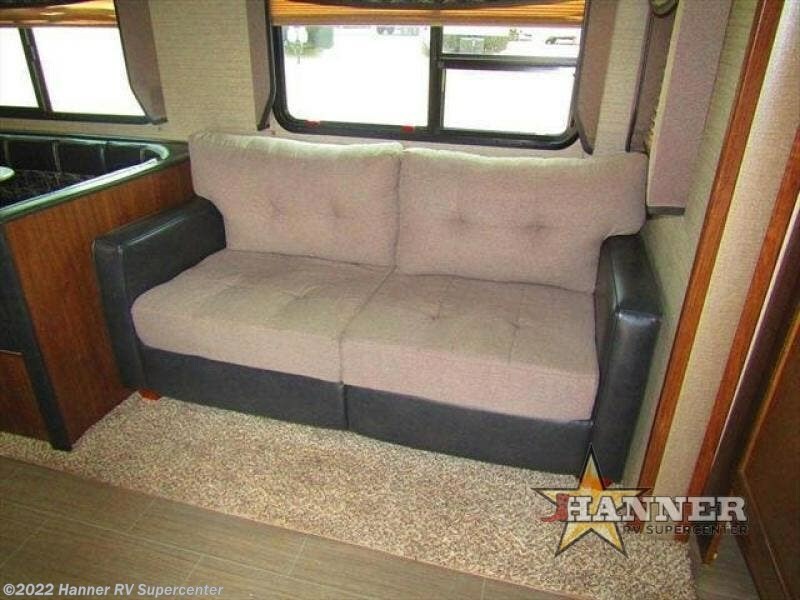 There is an entertainment center nearby that can easily be viewed from the sofa or dinette. 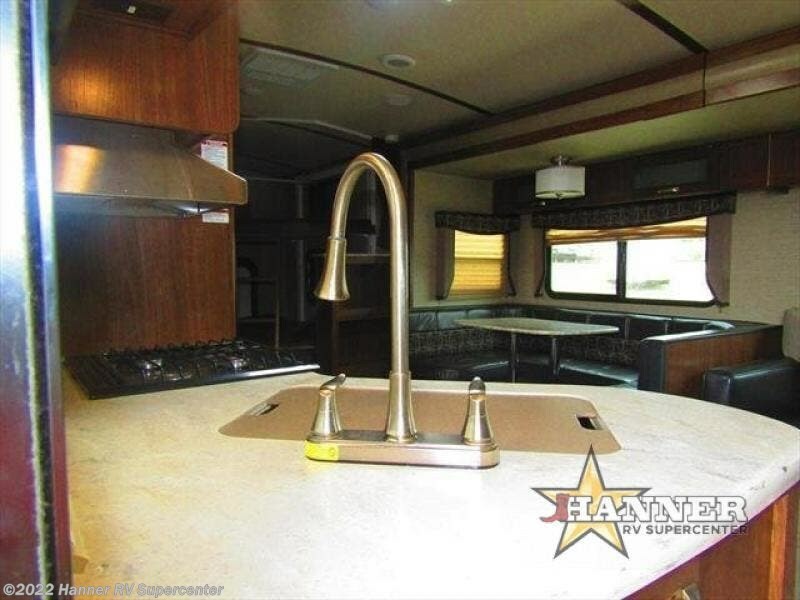 In this Aerolite kitchen you will have no trouble preparing and cooking great meals and snacks while you are on the go. 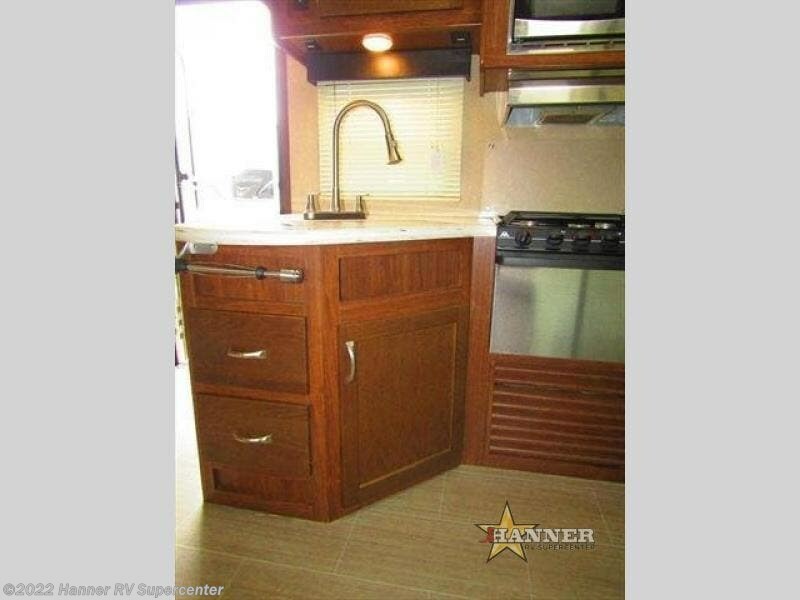 There is a pantry for dry goods, a refrigerator, a three burner range with microwave oven above, and a double sink for easy cleanup. 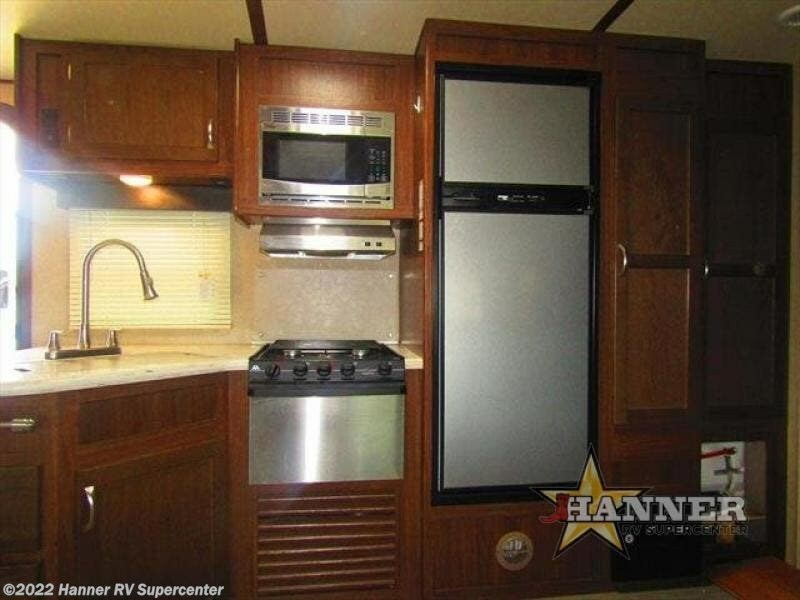 There are also overhead cabinets for storing dishes and things. 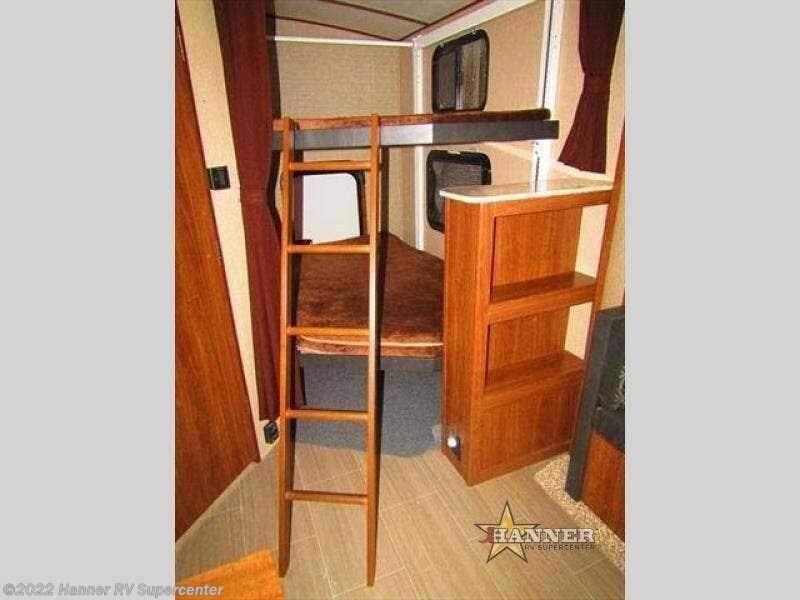 The rear right corner features a set of bunk beds with a triple bunk lift system. 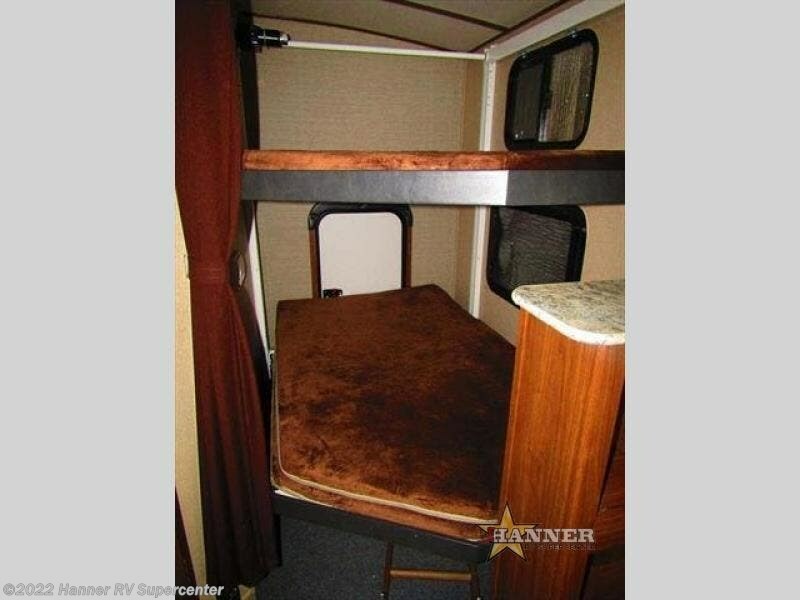 The lift allowing you to position the bunks up to the ceiling when not in use for a play space down below. 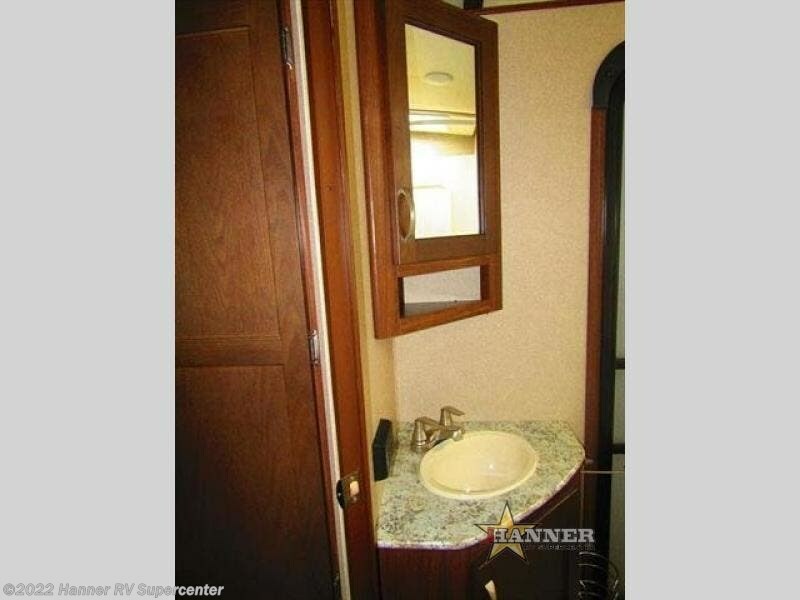 There is a bookcase at the foot of the beds and a wardrobe just outside the bathroom door for storage. 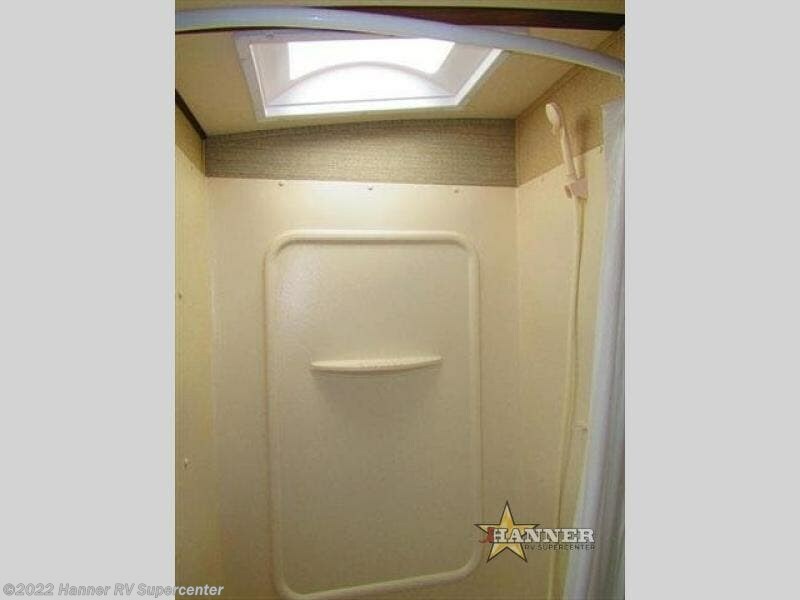 The rear private bath provides a tub/shower, a toilet and a corner sink with medicine cabinet above. 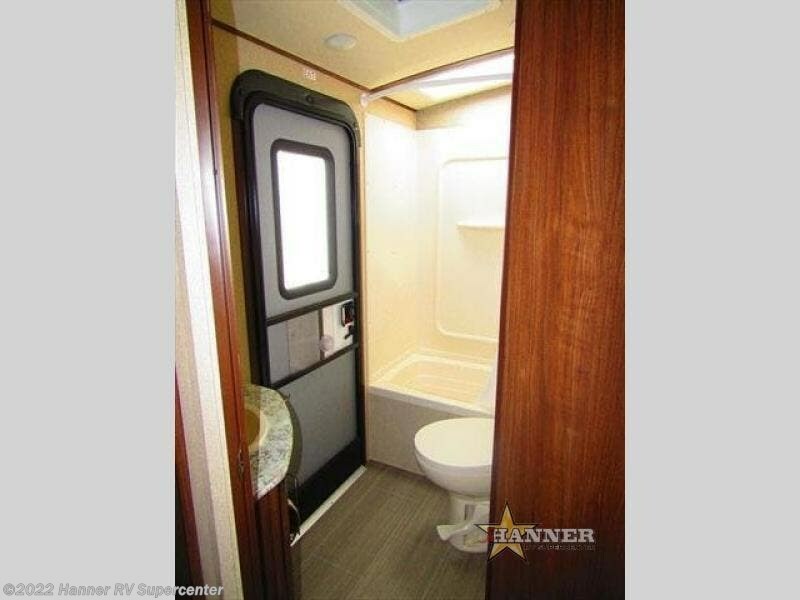 With the separate entry into the bathroom, it is easily accessible when you are enjoying the outdoors. 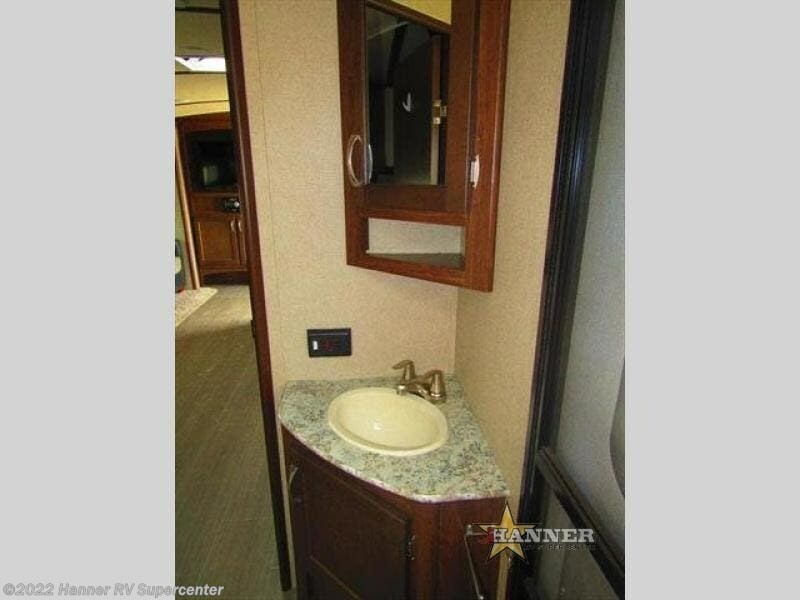 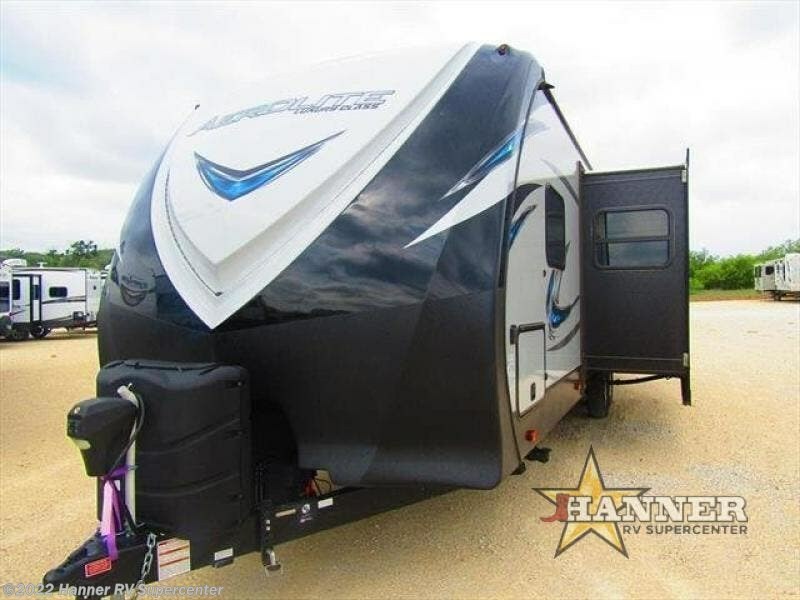 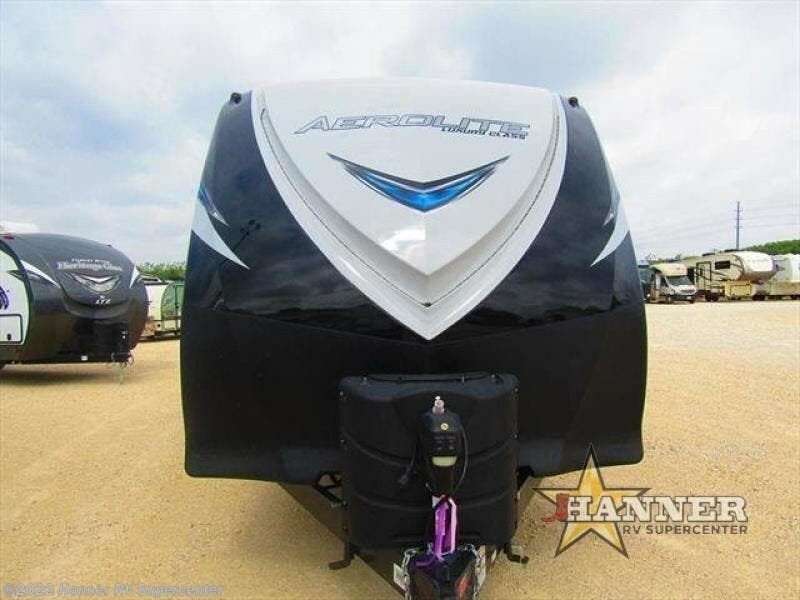 You will also enjoy plenty of exterior storage with front compartments on both sides of the trailer, and so much more! 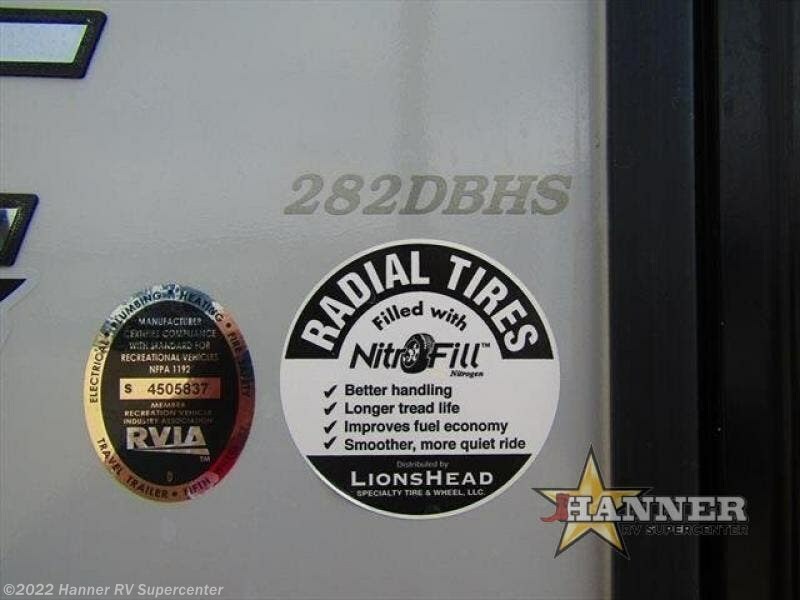 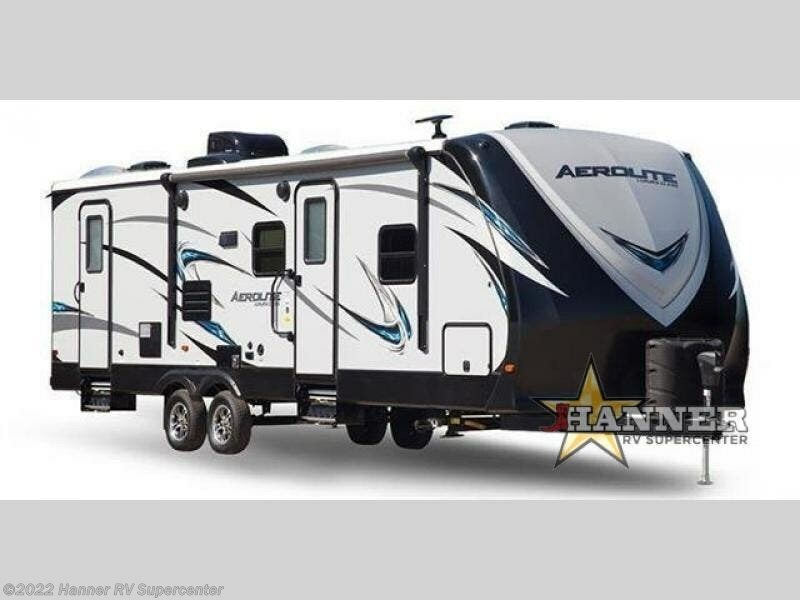 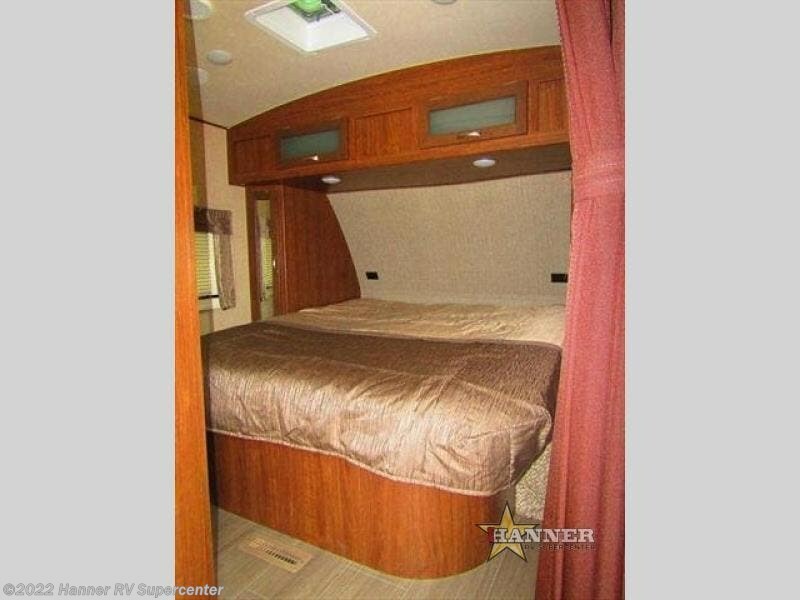 Check out Stock # 686131 - 2017 Dutchmen Aerolite 282DBHS on dutchmenrvs.com!